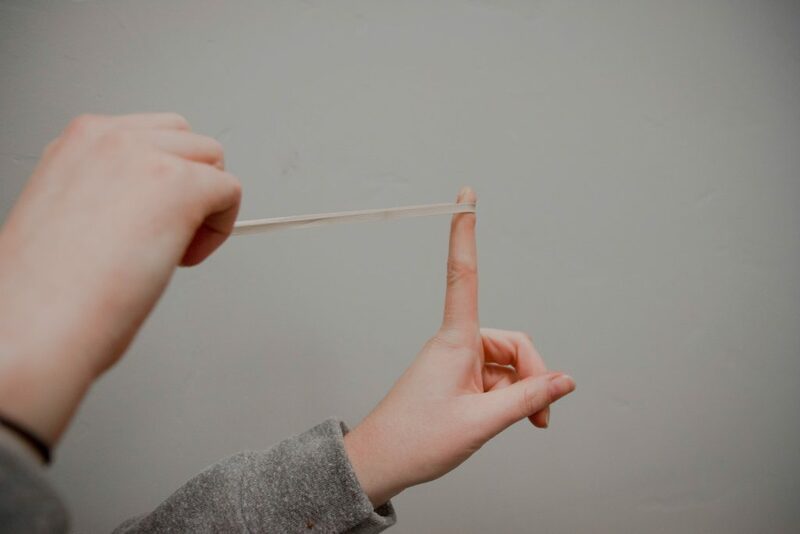 If you pull a rubber band between two points, the energy in the band can be used in a variety of ways—to pop the person next to you snoring in the movies, perhaps, or to motorize a small child’s toy. The energy builds up because the band is stretched between two points. By parallel, psychological energy builds up when something is stretched between two points: differences in goals, differences in visions about how to move forward, or just plain differences in the way something is seen. That tension is the psychological discontent you feel when there is pull between two or more situations. The associated energy can be used constructively or not so constructively. The emotionally intelligent response is to use that energy to push for more and better ideas, constructively resolving the points of difference. Adams, James. Conceptual Blockbusting: A Guide to Better Ideas. Cambridge, MA: Perseus Books, 2001. Buzan, Tony. The Power of Creative Intelligence: Ten Ways to Tap Into Your Creative Genius. London: Thorsons, 2001. De Bono, Edward. Lateral Thinking: A Textbook of Creativity. London: Penguin Books, 1990. Harper, Gary. The Joy of Conflict Resolution: Transforming Victims, Villains, and Heroes in the Workplace and at Home. Gabriola Island, BC: New Society Publishers, 2004.